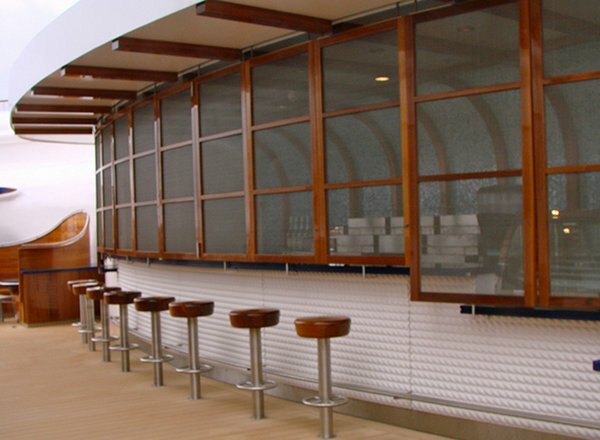 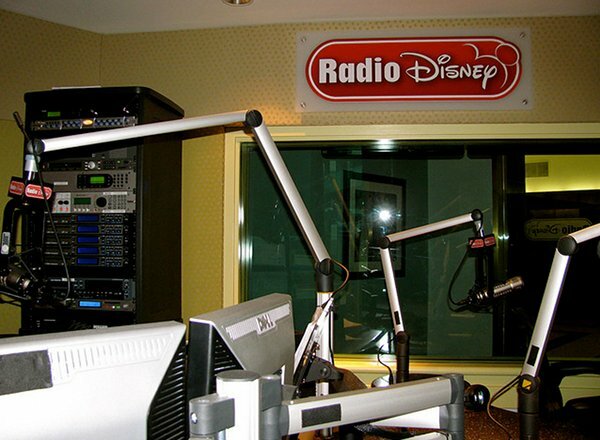 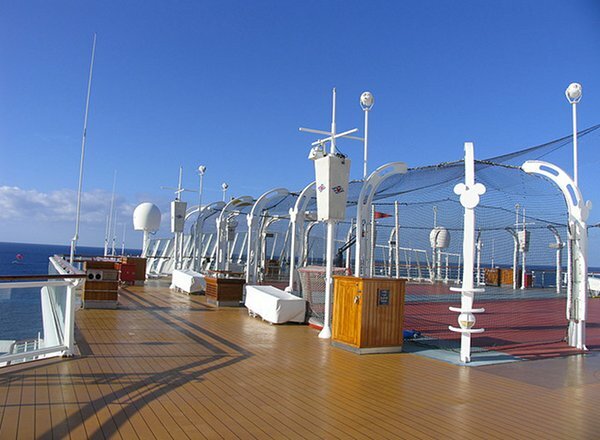 Deck Fourteen features the radio station and Outlook. 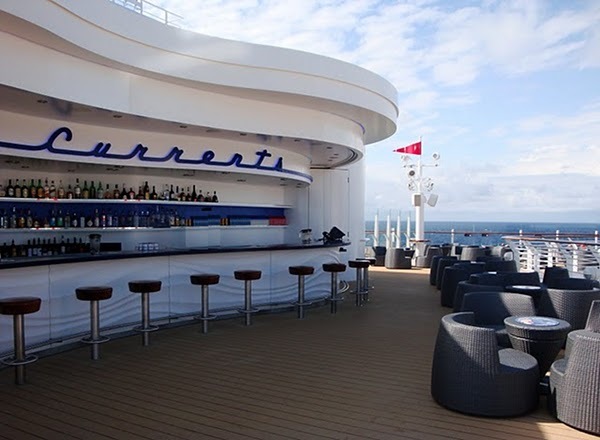 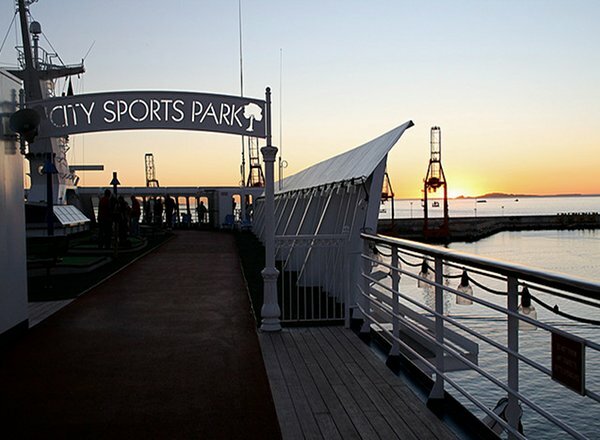 Deck Thirteen features Currents Bar, Funnel Vision, Edge Tween Club, and the Concierge Private sundeck. 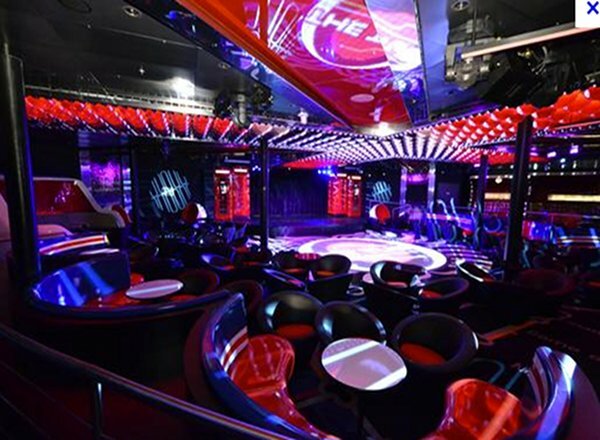 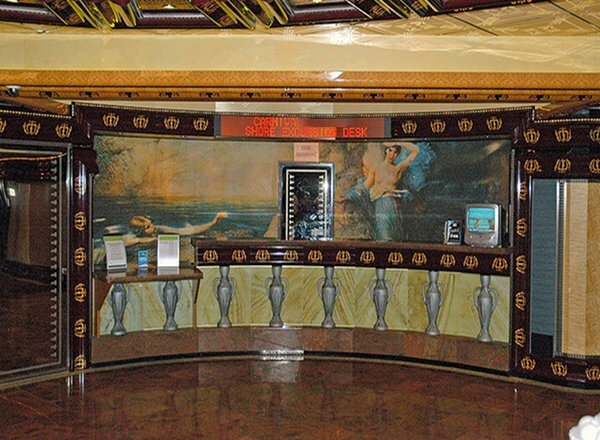 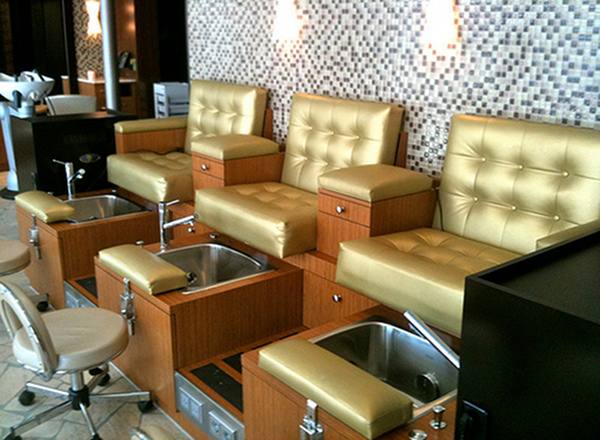 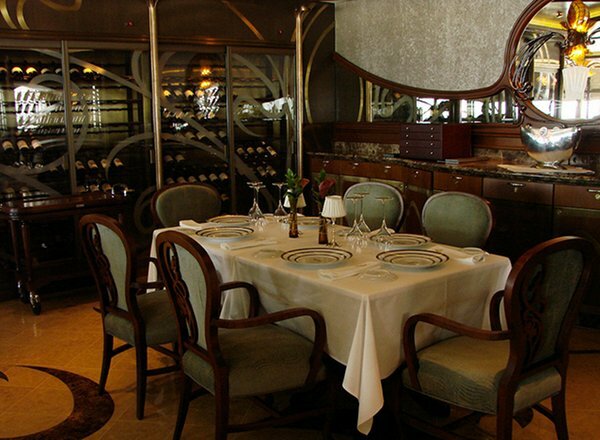 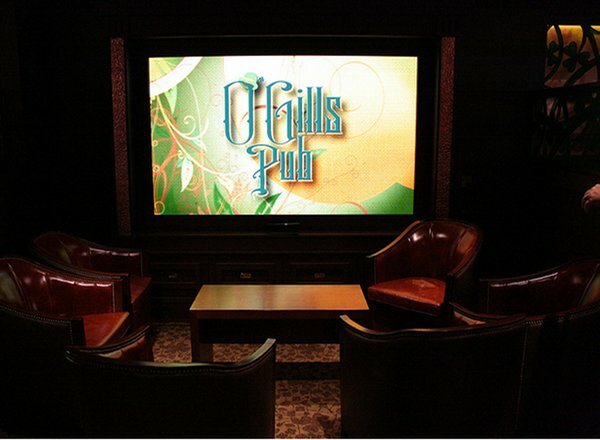 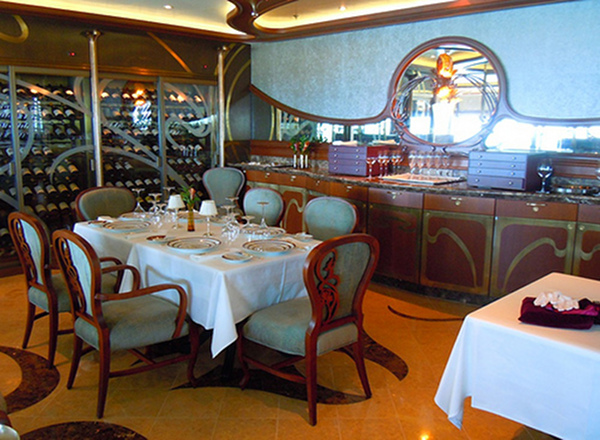 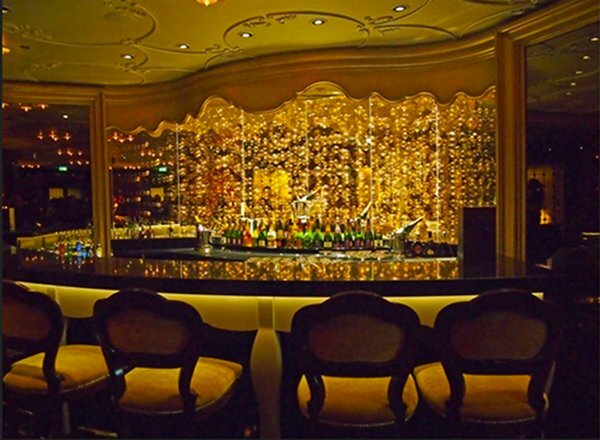 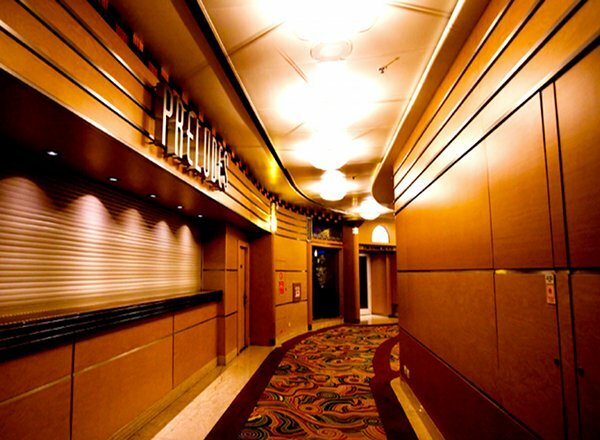 Deck Twelve features staterooms in categories V, T, and R, as well as Aqua-Duck, Waves Bar, Palo, and Meridian. 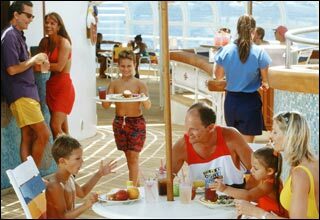 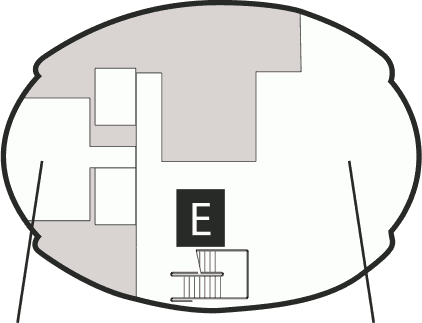 Deck Eleven features staterooms in categories V, and T, as well as Mickey's Pool and Slide, Donald's Pool, Eye Scream/Frozone Treats, Cove Cafe, Flo's Cafe, Doc's Grill, Luigi's Pizza, Arr-cade, Quiet Cove Pool, Cabanas, Senses Spa and Salon as well as the fitness center. 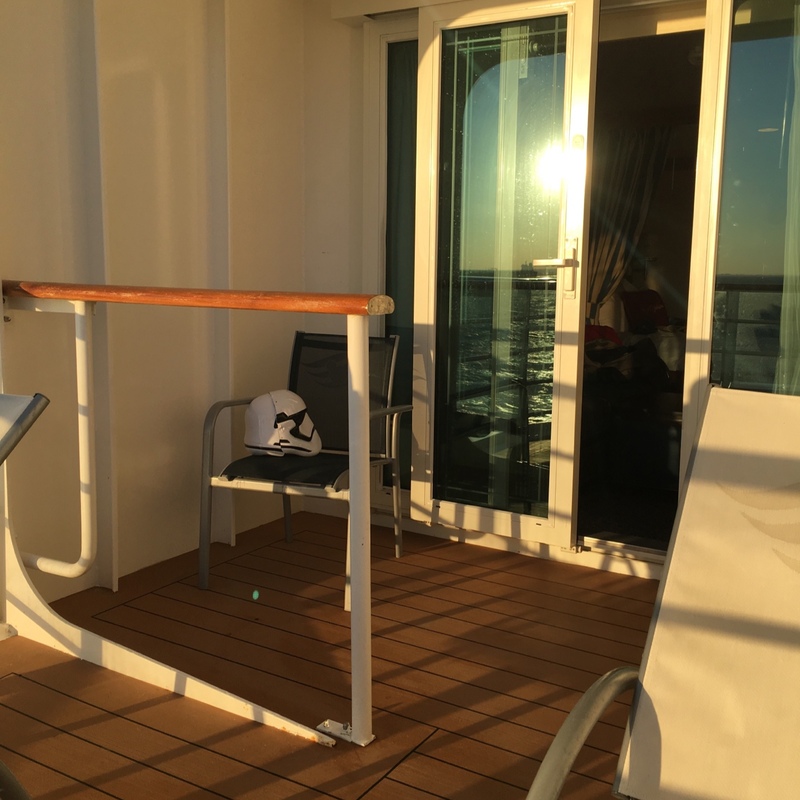 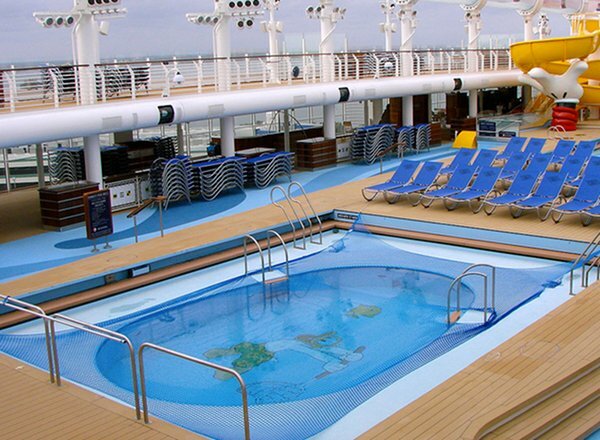 Deck Ten features staterooms in categories 4A, 5A, 5E and 11A. 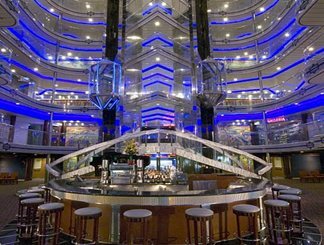 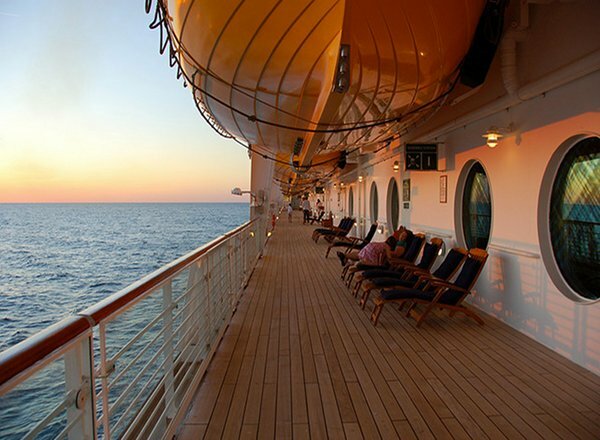 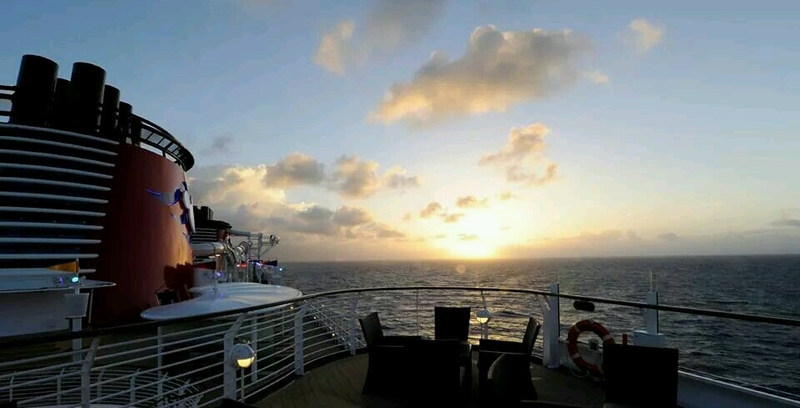 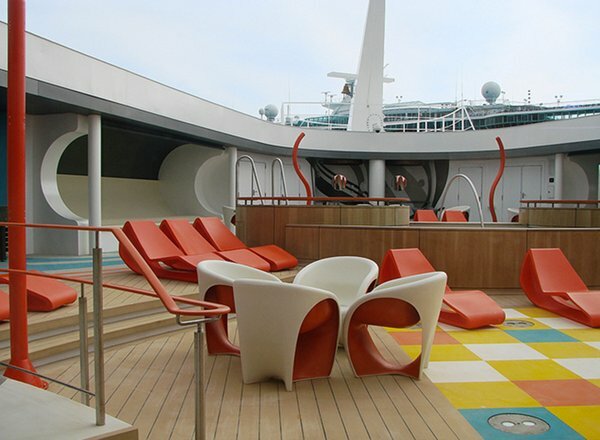 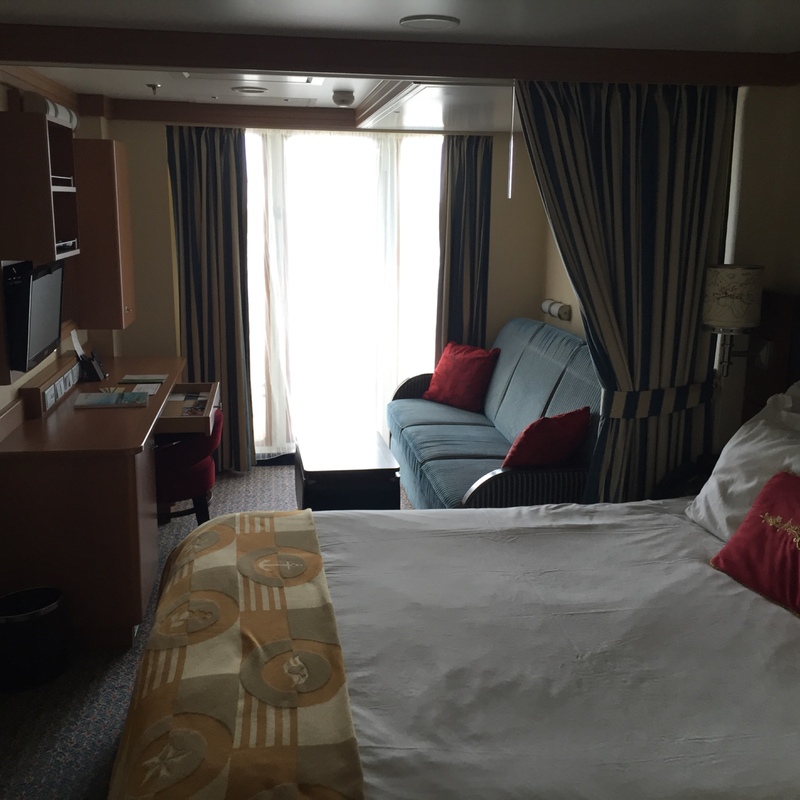 Deck Nine features staterooms in categories 4A, 5A, 5E, 7A, 8B, 10A and 11A. 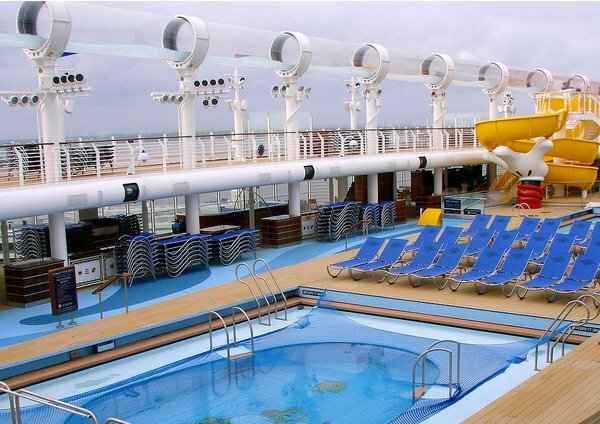 Deck Eight features staterooms in categories 4B, 5B, 5E, 6A, 7A, 8C, 9A, 9C, 9D, 10A and 11B. 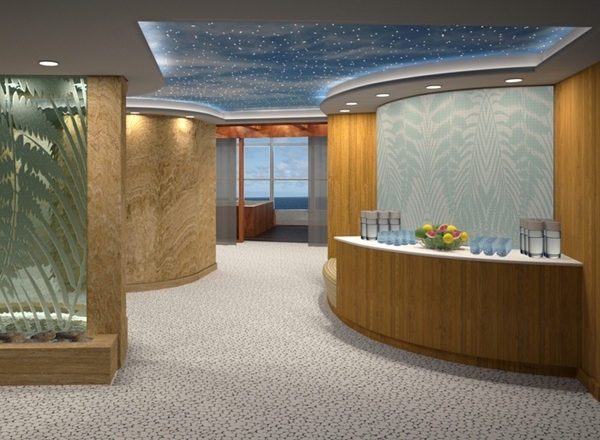 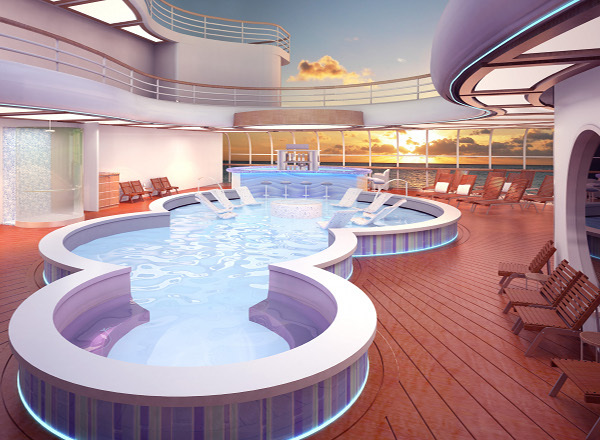 Deck Seven features staterooms in categories 4C, 5C, 5E, 6B, 7A, 8C, 9A, 9C, 9D, 10A and 11C. 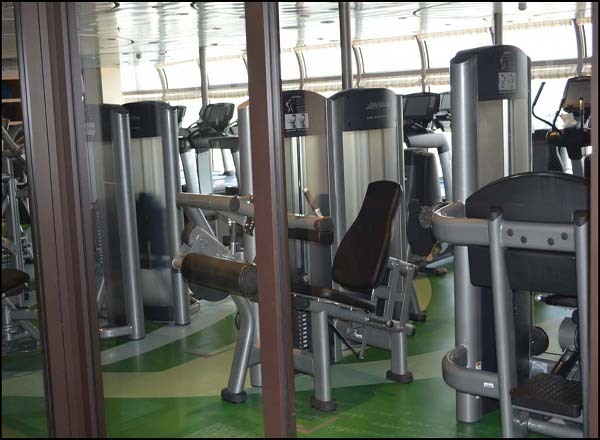 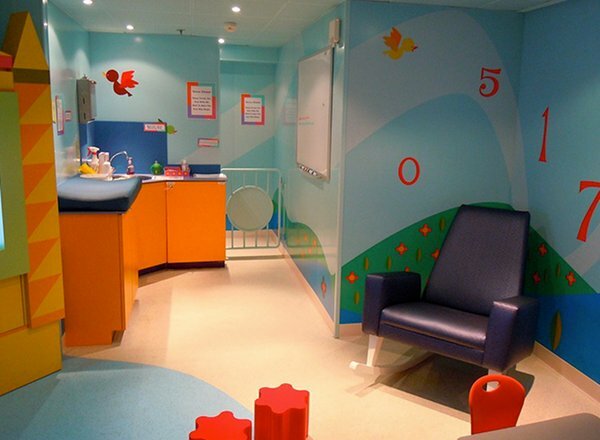 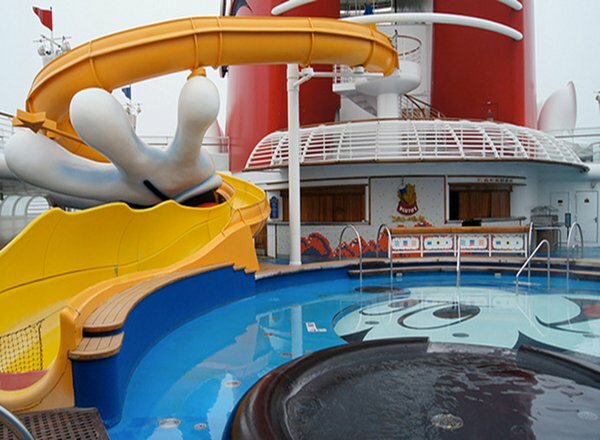 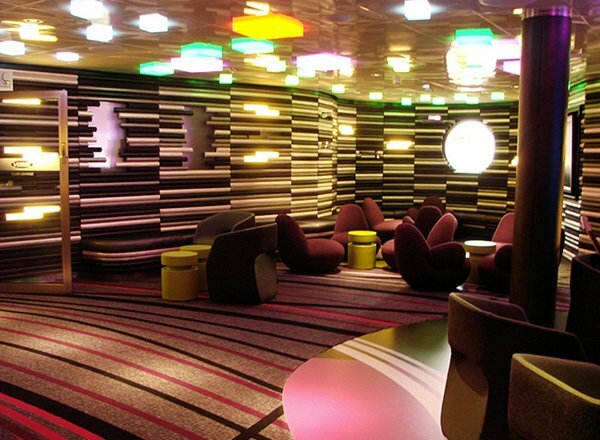 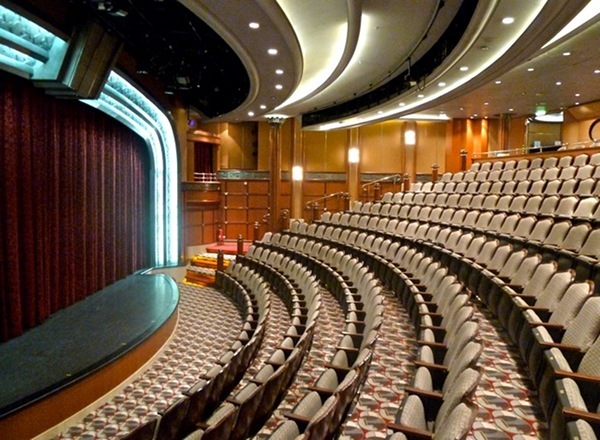 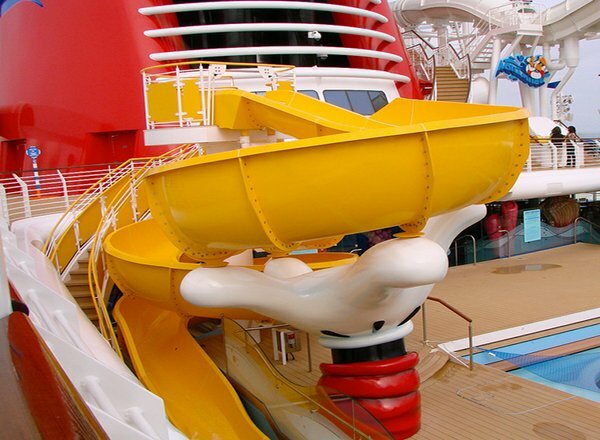 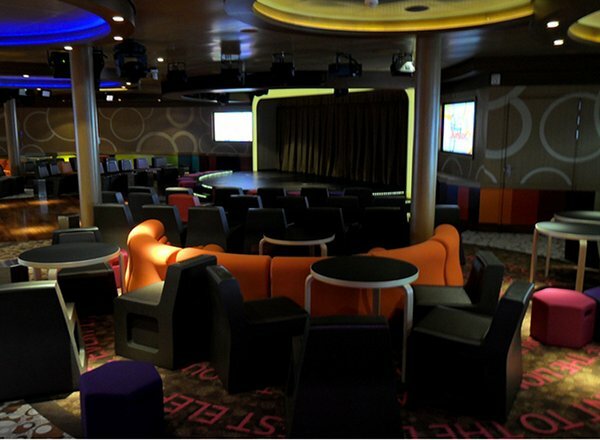 Deck Six features staterooms in categories 4D, 5D, 5E, 6B, 7A, 8D, 9A, 9D, 10A and 11B. 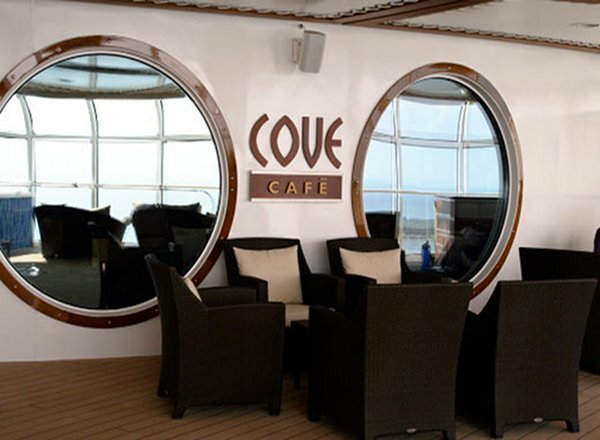 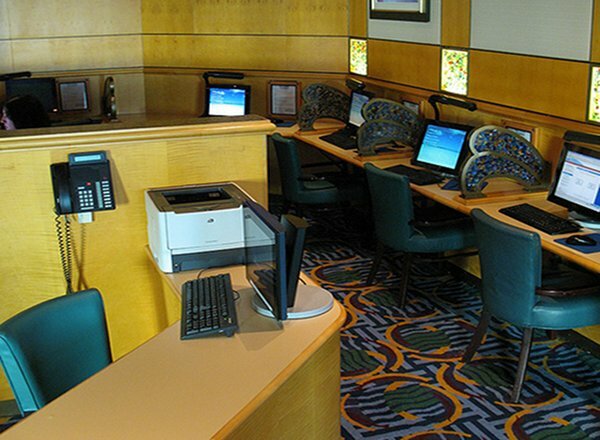 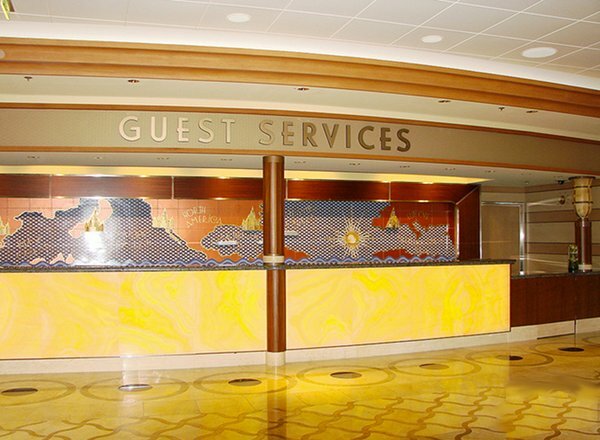 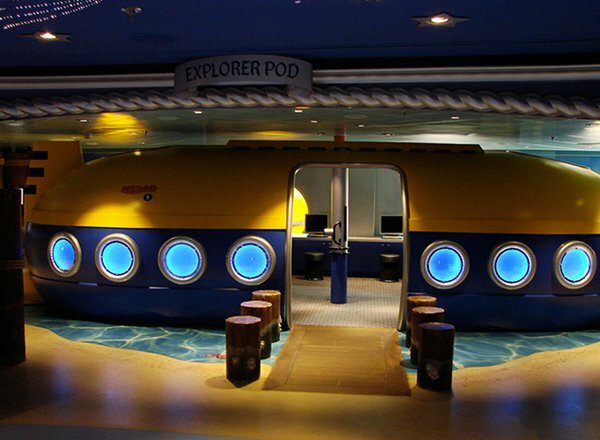 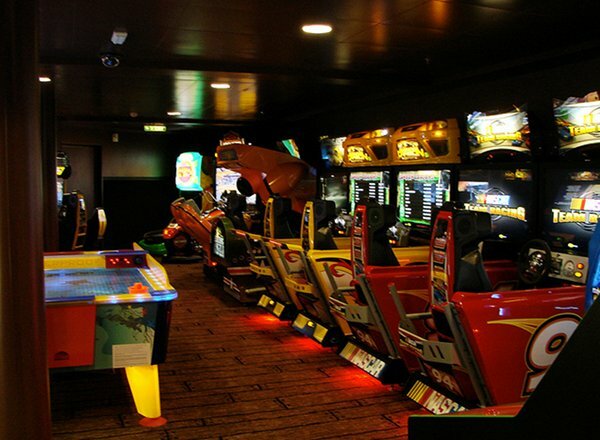 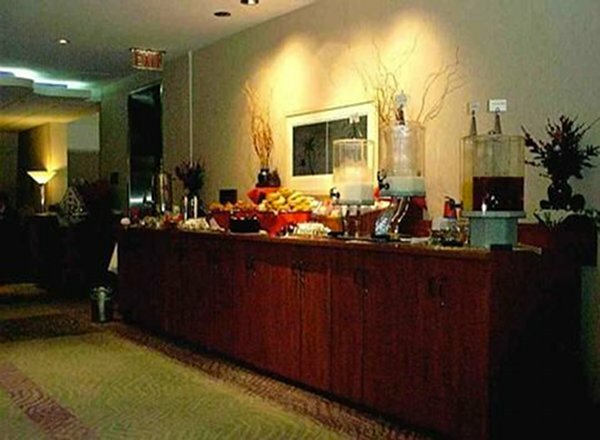 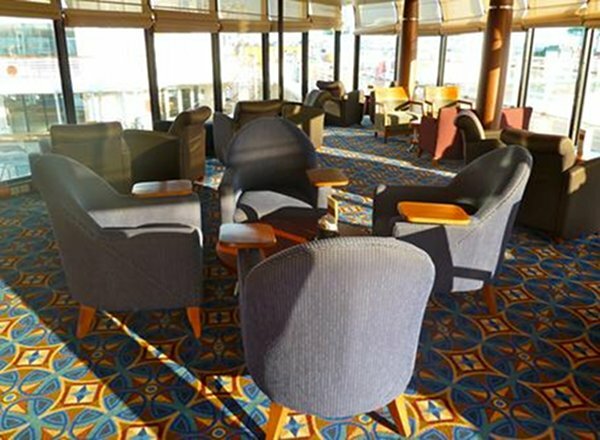 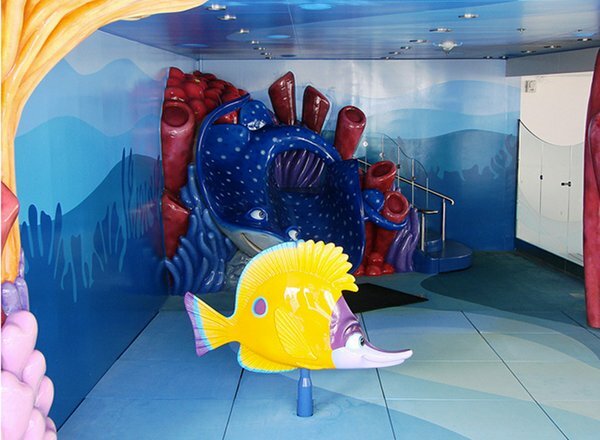 Deck Five consists of categories 4E, 6B, 7A, 8A, 8D, 9A, 10A and 11B, as well as Disney's Oceaneer Club, Disney's Oceaneer Lab, nursery, Buena Vista Theater, conference rooms and the teens-only area Vibe. 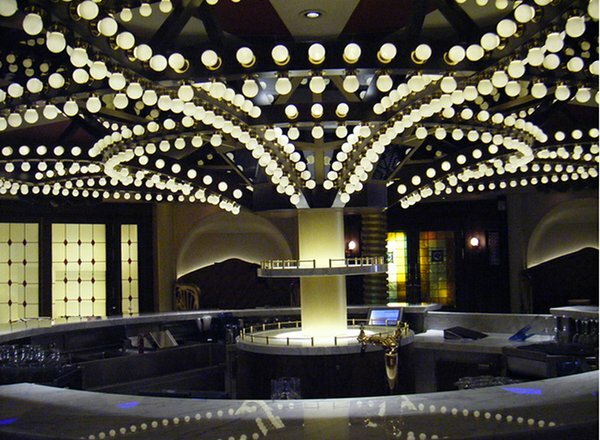 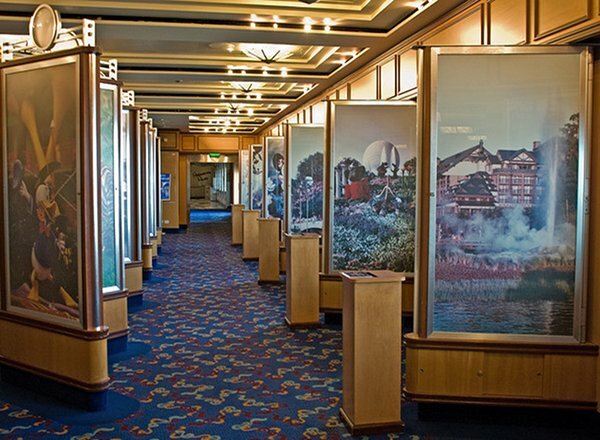 Deck Four features the second level of the Walt Disney Theater, Buena Vista Theater, Vista Cafe, Vista Gallery, Shutters "Capturing Memories", D-Lounge, as well as the District - an adults' only nighttime entertainment area that includes Metro Pub, Pink, District Lounge, Skyline Lounge and Evolution. 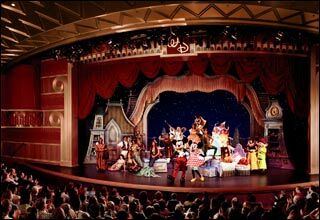 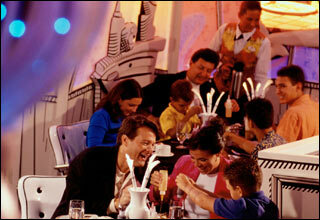 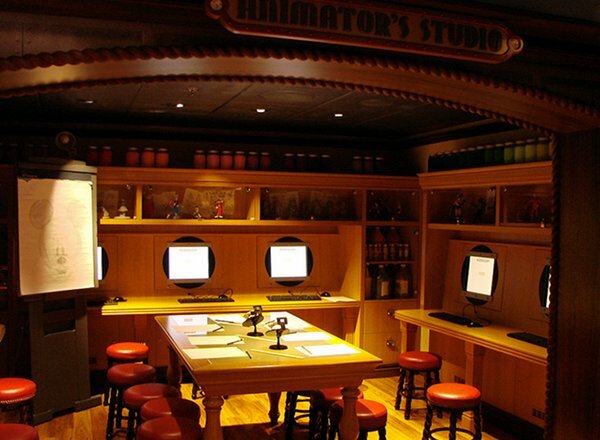 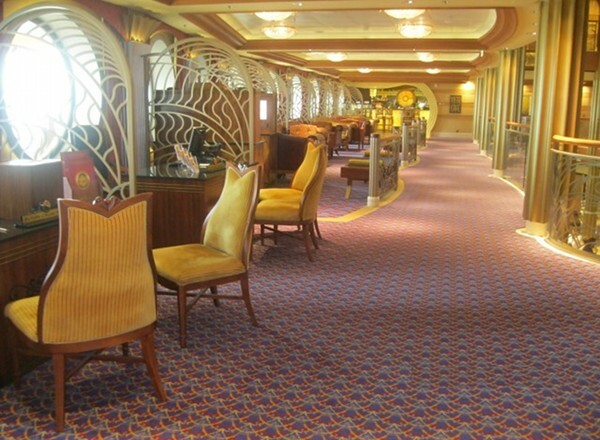 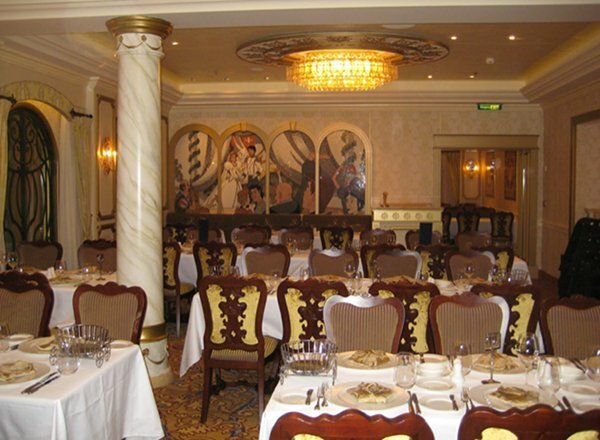 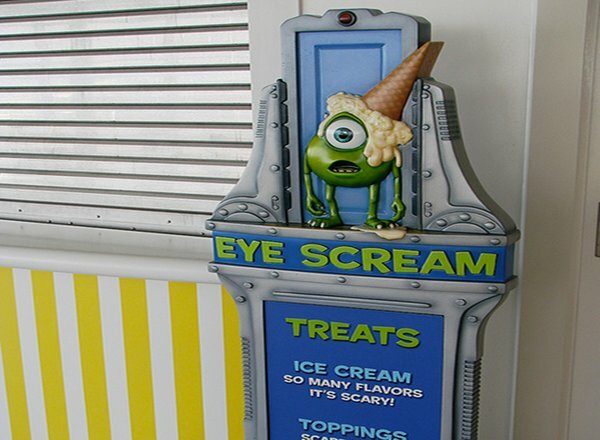 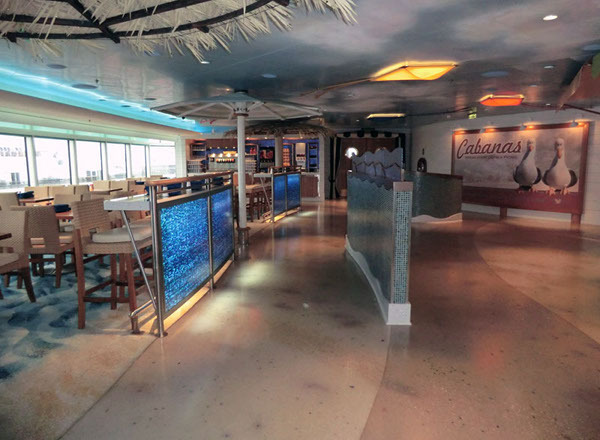 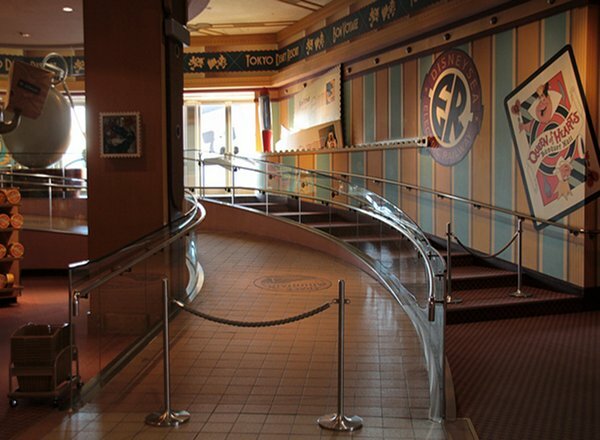 Deck Three features restaurants - the Animator's Palate, Royal Palace, as well as the Walt Disney Theater, Mickey's Mainsail, Sea Treasure, White-caps, and guest services. 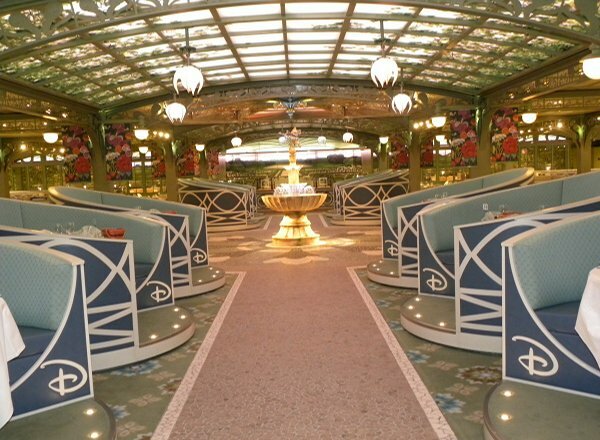 Deck Two consists of two categories of staterooms, including category 9B and 11C, as well as the whimsical, casual restaurant - Enchanted Garden. 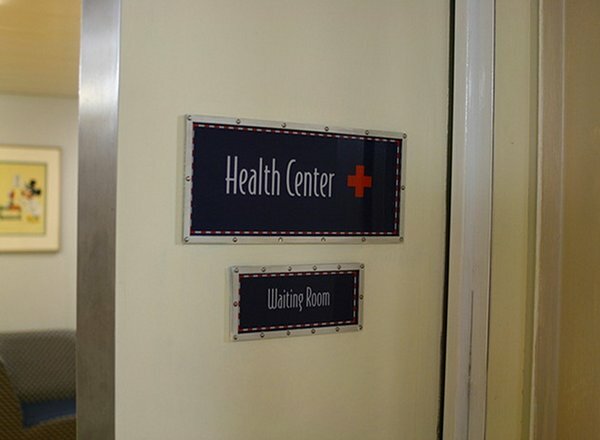 Deck One houses the ship's Health Center.